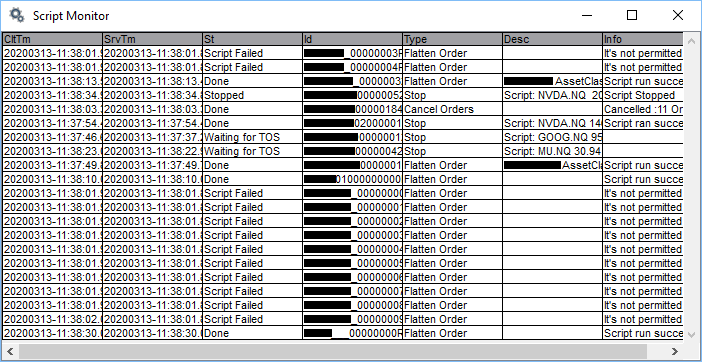 Use the PPro8 Script Monitor to monitor and confirm script orders, such as Stop, Trailing Stop, Basket, and Order List. 1. 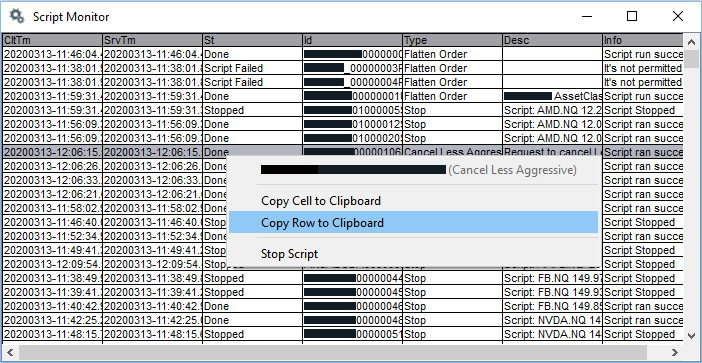 On the PPro8 toolbar, click ScriptMonitor. 2. The Script Monitor window appears. 1. Right-click the script order you want to stop. 2. In the menu that appears, click Stop Script. 3. The script is stopped. 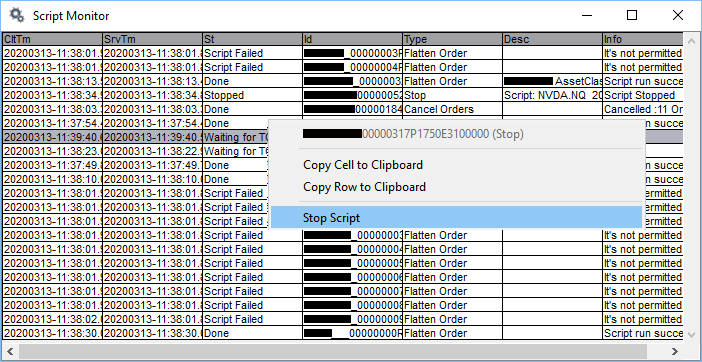 To cancel an active script, click the script order row, and then press Esc. Right-click a cell or row, and then click Copy Cell to Clipboard or Copy Row to Clipboard to save to clipboard.